For the artists of Making Communities, the border is not just a as a physical reality imposed on the landscape by political forces and entities, but also a subject for the imagination and a site for social engagement and problem-solving. The multimedia exhibition in the University Art Gallery and SME Visual Arts Gallery features twenty artists whose work critiques and reassesses the border and imagines a more interconnected and just world. 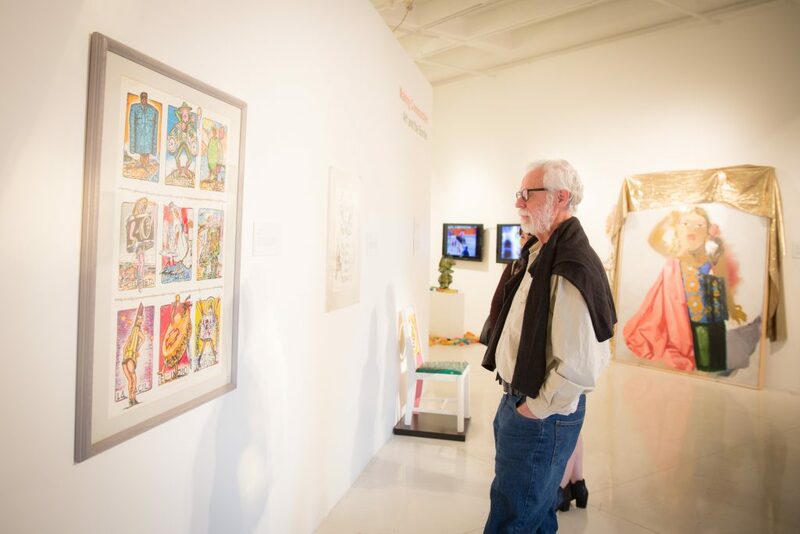 Contemporary Latino and Chicano art is also featured in a smaller, complementary exhibition in the Cross-Cultural Center galleries. Gallery hours: Tuesday, Wednesday and Thursday, 12-4 p.m.